Researching the possibilities and the relevant information. Writing a list of the pros and cons. Weighing up the possible outcomes. While this strategy is of crucial importance in the decision making process, using this strategy alone means shutting out our access to what is arguably the most incredible super-power we have as human beings - the super-power most often known as intuition. Intuition is the ability to understand something instinctively without the need for conscious reasoning. It can be accessed by paying attention to how you "feel" about a particular decision or question, and that's why it's often called "gut" feeling. When we are informed by our intuition, we are able to access resources of understanding, creativity and wisdom that are simply not accessible at the intellectual level of reasoning. Engaging our intuition in the decision-making process allows us to find simple and brilliant answers to question and problems that would simply not have been available to us through the process of intellectual reasoning. While some people may have felt that this has been true since ancient times, there is now scientific research that confirms this, and brain science that helps us to uncover some of the mechanics of how this works in our bodies (see note below). The research also suggests that you can get better at using this power through practice. So, how can we best deliberately engage this super-power and practise using it? The first step is to get used to paying more attention to how we feel. Now, although this may sound pretty simple, in this busy, noisy world in which we live where we are constantly on the go and bombarded by information, noise, and distracted by own thoughts, this is much easier said than done. If we can take the time to take a deep breath, and as we breathe out become aware of how our bodies feel, it immediately becomes much easier to identify how we feel about something. Try paying attention to this feeling and get a sense of what it might be about. The process can be incredibly enlightening if you really engage with it! Developing a daily meditation habit as well as regularly reminding yourself to become "present" in your body (that is simply becoming aware of how your body is feeling) will also help. To really access the full power of your intuition, you need to get much more deeply in touch with the nature of the emotion and what it's actually telling you. One of the best ways to do this is through coaching. A good coach will be able to help you not only get in touch with the emotion and the nature of it, but then understand what is behind that emotion and how you can use it to make great decisions and access your greatest creativity, clarity and wisdom. 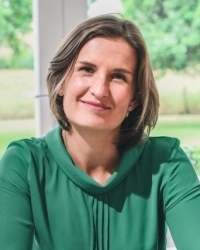 Liz Gilmour is a transformational life coach with a mission to help professionals find extraordinary happiness success and fulfilment in their lives and careers.